Kyle has built a reputation on honesty and the financial gain he brings his clients & their families on both personal & investment home purchases. As a professional Realtor and Businessman, Kyle delivers a superior business minded service to his clients. Kyle specializes in New Home / Custom Construction and Developments in Colorado with an in-depth knowledge of the home building process from land acquisition to move-in. His experience in new construction alongside the top Developers and Builders created a vast network of resources and experience to pull from while advising his clients. 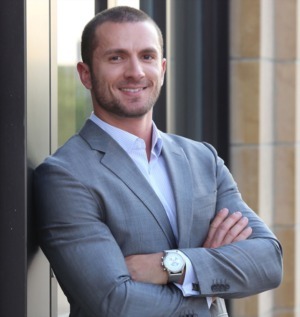 Kyle has been involved in Real Estate since 2008 and bases his business around superior customer service focused on his client's finances and needs above all else. He excels at understanding the Colorado market's growth, change and potential in order to maximize future profits on your families home or investment. Your home is your safe haven and sanctuary at the end of the day, it only makes sense to profit off this life necessity. Whether it's your first home, high end residence or investment, Kyle will set you up for future profit and earn your repeat business.